"This is simple to make, but tastes great." Mix together the clams, cream cheese, Worcestershire sauce, garlic, lemon juice, and onion juice until evenly combined. Thin the mixture to your desired consistency by stirring in the clam juice. 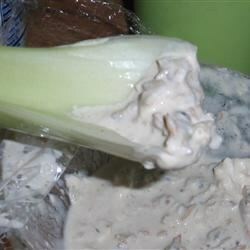 i have used this recipe but with a few minor changes....without the lemon juice and the onion juice, it is a really good dip. it doesn't last a full day in my house!!! I make this dip slightly different. Omit onion juice and use sour cream instead of cream cheese. Top with lots of pepper and seasoned salt. Super Yummy!